Karen Vourc'h is an eclectic artist, particularly appreciated for her beauty of tone and for the sensitivity of her interpretations. Vourc'h has received the del Duca Grand Prix of the Acad.mie des Beaux-Arts and the Victoire de la Musique Classique awards. Internationally she has also won numerous awards, including Toulouse, New Voices, Verviers and Montserrat Caballé. After joining the Paris Conservatoire and the Opera Studio in Zurich, where she sang in Die Zauberflöte für Kinder, Fekluša in Katya Kabanova under the direction of Christoph von Dohnànyi and with Mirella Freni in Fedora, she quickly engaged in many theatres in France and abroad. Karen Vourc'h is notably acclaimed for her interpretations of French operas: Dialogues des Carmelites with Michel Plasson and Robert Carsen received the E. Rostand Critics Award in 2011, and she sang the title role in Pelléas et Mélisande at the Op.ra Comique in Paris, at the London Proms and at the NHK Tokyo. Karen Vourc'h is appreciated in the repertoire of the 20th century composers, including Messiaen, E.tv.s, Debussy, Honegger, Menotti and Poulenc. 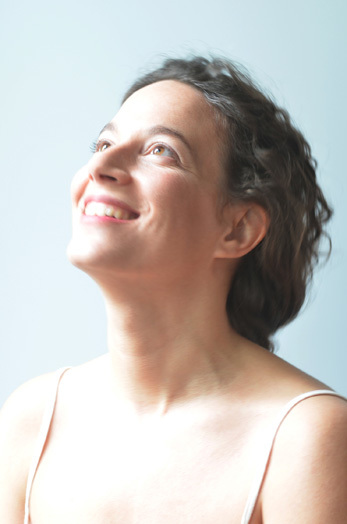 She is also a beloved interpreter of Kaija Saariaho's music: Vourc'h has been singing Émilie in Amsterdam and in Porto as well as Passion de Simone at the Bratislava Festival, in Lublin and at the Festival de Saint Denis in Paris.